Major League Lacrosse teams have finally announced their rosters, which gives us a clearer picture of what to expect from teams this season. 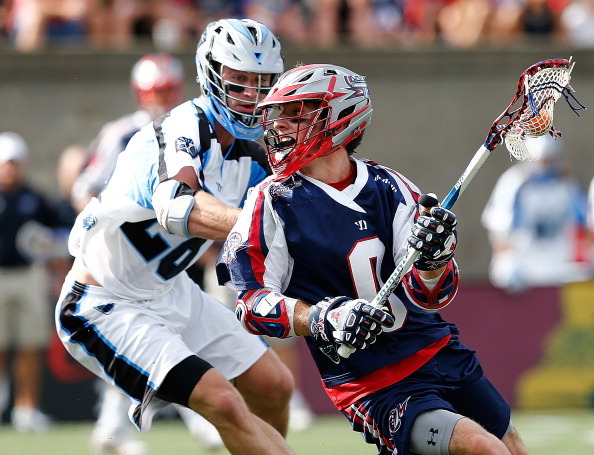 The Boston Cannons were a disappointment in 2014 not making the playoffs and are looking to 2015 as a bounce back year, albeit a rebuilding one as well. The Cannons have lost a lot. Stephen Berger and Ryan Boyle retired. Paul Rabil and Mike Stone were traded. Kyle Sweeney was traded. And, while they did add players like Ryan Young, Chad Weidmaier, and Max Seibald, it’s still a totally different identity for the Cannons. As they begin their season at Gillette Stadium, the home of the champion New England Patriots, they hope they have what it takes to become a playoff team with a new philosophy. Jordan Burke has been the Cannons man in net since he led them to a championship in 2011. Four years later, however, and he has had his struggles; enough for Boston to trade for Charlotte’s starting goalie Adam Ghitelman, who likely won’t be with the team until his Harvard Crimson’s season ends. Look for Austin Kaut to serve as the backup early on. The team named Will Manny a captain going into this season, and he seems like a natural fit to take over Boyle’s role as the play maker. Manny broke out last year in his sophomore MLL season, but he has a lot more responsibility now. Two years ago Young was an MLL all star and he will be a player they hope returns to that form. He could be their key scorer on attack who works with Manny. Also, Seibald is an MLL veteran who has been an elite scorer in the past. He might not be Rabil, but his veteran presence is key. Let’s not forget Kevin Buchanan either, who has been a mainstay with the Cannons and always a reliable scorer. He is a leader on this team now, and after starting off red hot last season will need the same kind of start. Buchanan won’t be with the Cannons right away, however, thanks to playing with the NLL’s New England Black Wolves about an hour south on Sunday when the Cannons face Denver. Boston has a stellar rookie class coming in later with John Glesener, Wells Stanwick, and Ryan Tucker. Their youth in their rebuilding process will be huge for a team who hasn’t drafted well of late. Manny, Rob Emery, and maybe Scott McWilliams have been the only picks of recent years who have found success. If they can double that total this season, their future looks much better. The Cannons could catch some teams by surprise this season if Manny played like he did last season and Young steps up his game. The defense is a key concern; Brodie Merrill won’t be back until Toronto Rock season ends, and that could be a long team. Kyle Sweeney is in Chesapeake and Jack Reid retired. This team will likely look a lot different at season’s end than it does right now. They could morph into a contender if things go right, but if things go wrong, it could be a long summer at Gillette Stadium.